Get closer to the world of Lemuria with the Deluxe Edition, complete with an artbook, A2 poster and more! Experience an unforgettable journey through the vast world of Lemuria and explore its mythical environments to discover its hidden secrets. Meet all manner of monsters to do battle with, in a traditional Active Battle Time System. 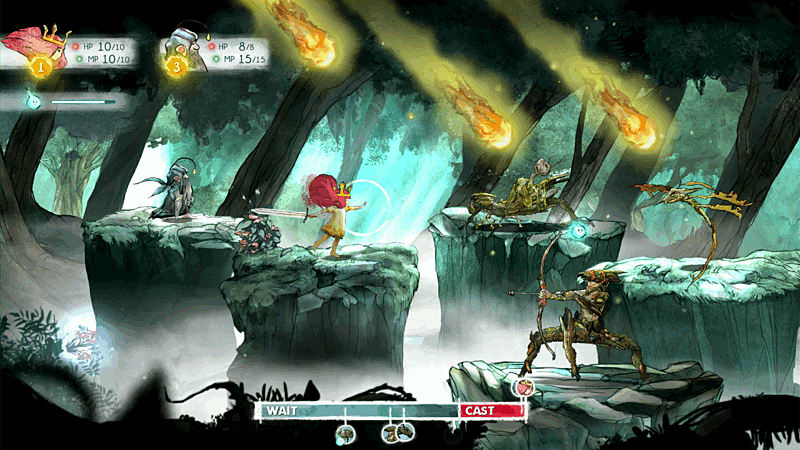 Team up with a friend as they control your firefly ally so you can enjoy this adventure together. The kingdom of Lemuria is in despair. The Black Queen has stolen the Sun, the Moon and the Stars. 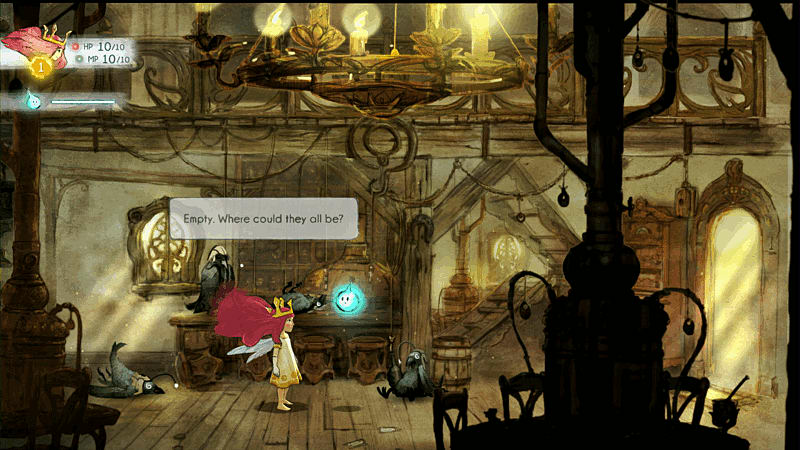 You play as Aurora, a young princess with a pure heart whose soul is brought to the kingdom of Lemuria. 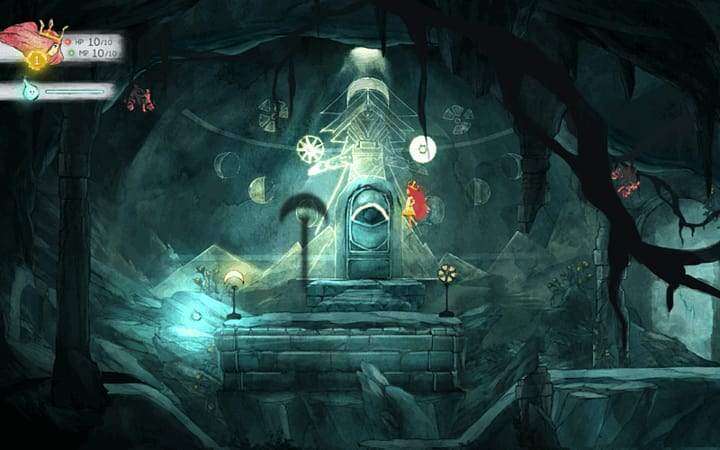 Embark on a quest to recapture the three sources of light, defeat the Black Queen and restore the kingdom of Lemuria. An Adventure Waits! 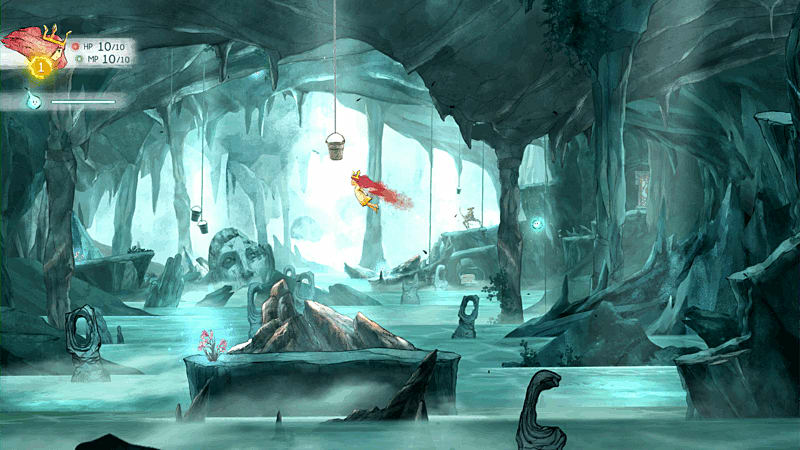 Created by the talented team of Ubisoft Montréal using the UbiArt Framework, Child of Light is an RPG inspired by fairy tales. The breathing world of Lemuria. 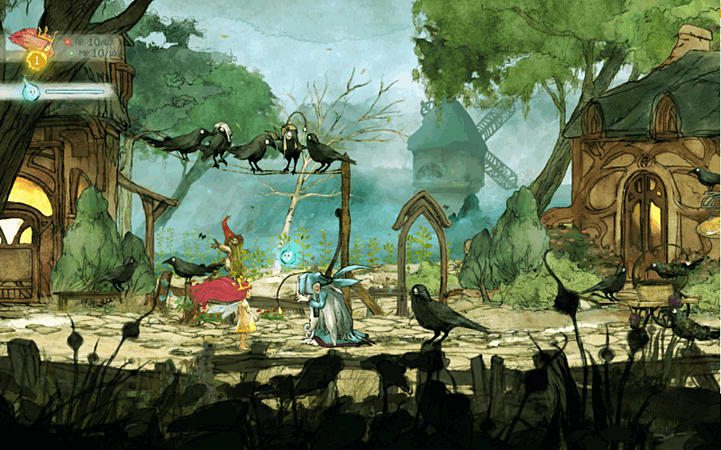 Across your experience through Lemuria you will meet encounters that you will remember, from friendly fairies and gnomes to vile wolves and dark dragons. 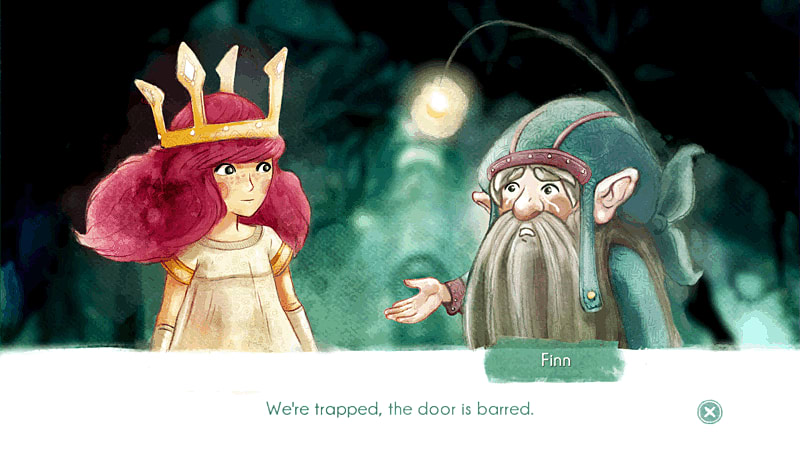 Fight monsters and evil mythical creatures. 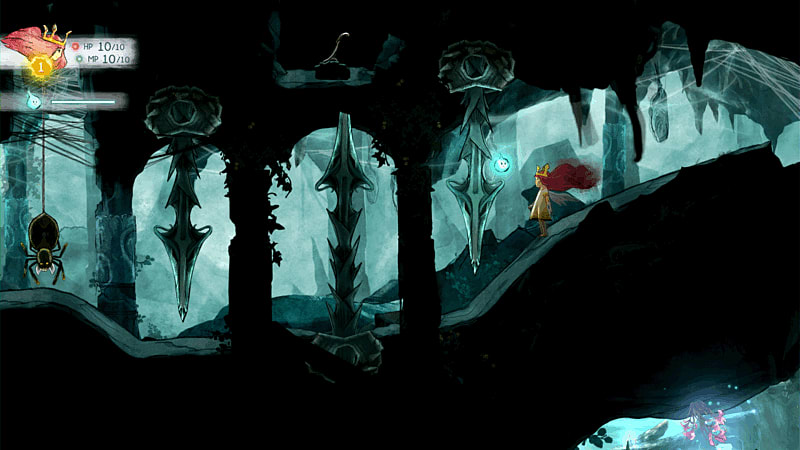 Aurora has the power to fight creatures from the dark and to restore the Stolen Lights. Fight alongside the Igniculus in Active Time Battle Systems. Your firefly ally can be controlled by another player, so you can live this adventure with your friends. 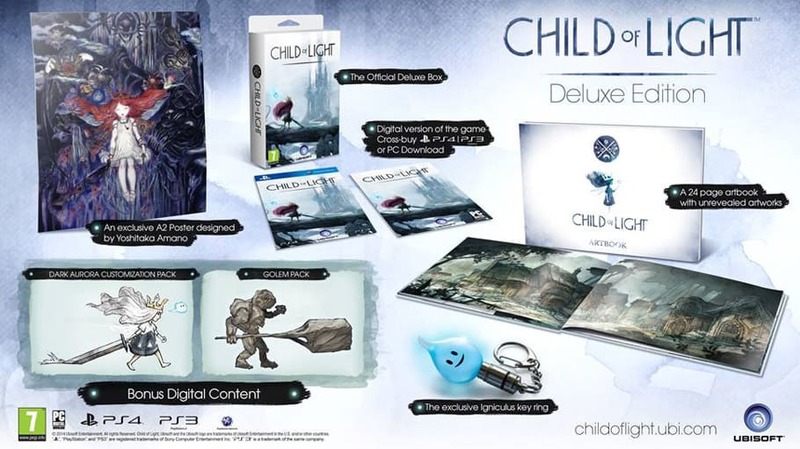 A Digital Version of the game. An exclusive A2 Poster designed by Yoshitaka Amano. A 24 page artbook with unrevealed arkwork. Two bonus digital content packs - Dark Aurora and Golem.